Bailey grew up in the Cassava Piece area of Kingston, Jamaica. Bailey played for the Phoenix All-Star Academy operated by his adoptive father, Craig Butler. In 2011, Butler arrived in Europe to find a club for his son Kyle Butler and Leon Bailey. They wandered around Austria, Germany and Holland, before ending up in KRC Genk, where Bailey went on trial in the beginning of 2012. Genk was convinced of his qualities, but because of the very strict regulations on minors by FIFA, they couldn’t offer him a contract. So, the club made Leon Bailey sign a draft agreement when he was only 15 years old, which is illegal in Belgium. Bailey moved into a house in As, near Genk. After Butler left for Mexico, initially to formalize his move to Belgium, he went missing for four months. In these four months Genk took care of the minor children, who at that time were without parents or a legal guardian illegally residing in Belgium. When Butler returned after four months, KRC Genk offered him a job with a sponsor of the club. This was the only way to try and bend FIFA rules on minors. After the Labour Ministry heard of the matter, they raided KRC Genk, and Butler and his players had to retreat. So, he went to Standard Liege, but the transfer wasn’t approved because Butler had no work permit. As a result, they could not legally reside in Belgium. Thereafter they went back to Jamaica, but they returned several times to Europe, where Butler offered his players at several European clubs. With AFC Ajax, Bailey reached a verbal agreement in October 2013, but a transfer did not materialize. The FIFA rules did not permit a player under eighteen years to sign a professional contract with a football club. In the beginning of 2015, he appeared in AS Trenčín, where he signed a contract. Bailey joined K.R.C. Genk in 2015 from Trencin. Bailey made his Belgian Pro League debut on 21 August 2015 in a 3–1 away defeat against Sint-Truiden replacing Siebe Schrijvers after 62 minutes. He scored his first professional goal for KRC Genk on 21 November versus OH Leuven. At the end of the 2015–2016 season Bailey won the Belgian Young Footballer of the Year award. His goal in the Europa League against Rapid Wien on 15 September 2016 was chosen as the top goal of the competition for the 2016–17 season by UEFA. Bailey joined Bayer Leverkusen in January 2017 for a fee of €20 million, after interest from Manchester United and Chelsea. Bailey made his debut for Leverkusen on 3 February 2017, in a 1-0 defeat against Hamburg. His Champions League debut came on the 24 February 2017, in a 2-4 defeat against Atletico Madrid. Bailey made 10 appearances for Leverkusen in his first half season at the club. He scored his first goal for the club on 11 August 2017, in the first game of the 2017/18 season in a 3-0 victory in the German Cup against Karlsruher SC. His first League goal for the club came on the 29 September against FC Schalke 04. 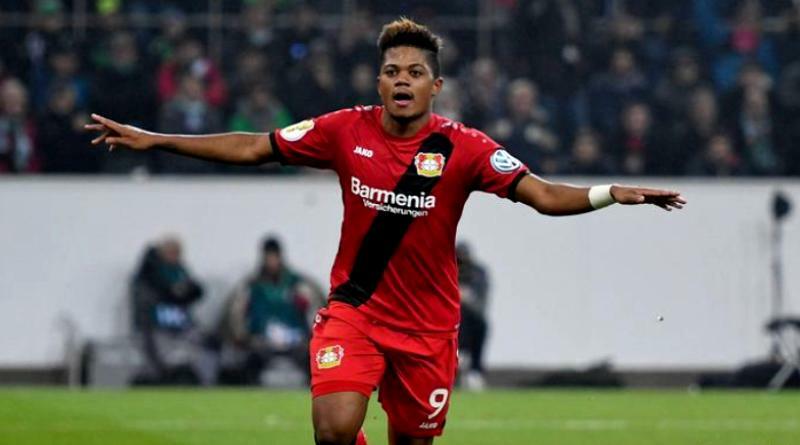 He finished the season scoring 12 goals in 34 games in all competitions, helping guide Bayer Leverkusen to a 5th place finish in the Bundesliga. Bailey played in a friendly match for Jamaica under-23’s on 8 March 2015 versus the Cayman Islands under-23 side, where he scored directly from a freekick. In March 2017 it was reported that he would refuse Jamaica call ups until the standards of Jamaican football improved. In September 2017, Bailey told German football magazine Kicker: “They always want me to play for Jamaica, but I’ve had personal problems with the association since I was eleven or twelve years old”. In January 2018, Winfried Schäfer, the former Jamaican national team coach told a German newspaper Bild “I really wanted to make him a national player. I have invited him several times – among others to the Gold Cup in America and to international matches. I also called at Genk. But his step-father blocked everything.” Bailey was thought to have been eligible to represent England as he has two grandparents who have English passports. However, Bailey is not eligible to play for England as his grandparents were not born in England.